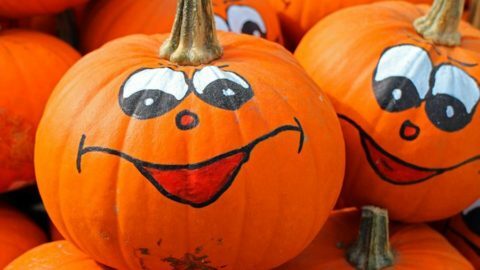 If you’re looking for family-friendly events and activities for the month of October, then Buggybuddys has you covered with a list of events that are bound to have something to interest everyone. Get the kids active, laughing and learning new skills on the October school holidays with 1 hour circus workshops that are designed for each age group (5-8 year olds & 9-12 year olds) all taught by the entertaining “Fatt Matt”. The Fatt Matt Show Saturday 6th and Sunday 7th October – suitable for the whole family. Matt will perform his circus comedy acrobatics, watch as he balances three eggs upon a chopstick on his nose and performs the incredibly dangerous and complex one fingered handstand! Presented by Fatt Matt and the Lunar Circus! McNirt hates dirt; the smell, the feel and all the creepy crawlies that live within it. McNirt’s friend Gerty, loves dirt; the aroma, the texture and all the minutiae that call it home. Will McNirt’s loathing of loam and abhorrence of humus come between these best friends? McNirt Hates Dirt is a highly interactive and accessible theatre experience for 3-5 year olds. A gentle tale of friendship and discovery that unfolds in a beautiful, recycled world. So come and meet McNirt in his yurt and join in a journey full of wonder and worms, music and mud. An eccentric tale with an organic twist. Be a part of this tender and funny story and watch McNirt blossom. AWESOME invites you and your littlest ones to engage in a variety of arts activities in a safe, playful and fun environment. ‘Spring at the Farm’ will include opportunities for exploration and participation in visual arts, movement and music, sensory play and storytelling. Creative Bubs fosters learning and the development of new skills, whilst providing seed ideas for creative play at home. Additional observing adults are FREE! Follow the torchlight to your seat around the ‘campfire’ for a thrilling story time experience with amazing local writers. The Great Big Dark and Spooky Book Read features Bush and Beyond author Cheryl Kickett-Tucker, Gastronauts author and illustrator James Foley, Off the Track author Cristy Burne, The Hole Story author Kelly Canby, In the Lamplight author Dianne Wolfer and Ian Mutch, author of More and More and More. From the shadows cast by war to the inside of the human body, from cozy boltholes to the vastness of space, don’t let your fear of the dark discourage you. These fun and exciting stories will light up imaginations of children aged 5 and up! *Please nominate which book you would like to receive when purchasing your ticket. Bring your grandkids for old fashioned games fun, only the games are GIANT! Afternoon tea provided. Suited to primary school aged children, plus an activity room for those with younger kids. Registration essential, contact Senior Centre 08 9411 3777 or Children’s Development Officer 08 9411 3444 or email [email protected]. Join us at Bert Wright Park, next to Bayswater Public Library, for an afternoon of all things doggo! Story Corner: Meet Story Dogs Pixie and Tommy and read them a story, or say hello to a Guide Dog Ambassador then join us for a special Dog Storytime. Dog Yoga: Our yoga instructor from Soulshine Yoga Perth will lead a 45min session where you can do yoga with your furry friend. Non-dog owners can also join in! Bring your own yoga mat or towel. There will be a roving face painter, bubble stations and crafts in the library to enjoy. You can also buy doggy treats from Kyal’s Doggy Delights or enter your pooch in our dog costume competition to win prizes. Dogs must be on lead at all times. Dogs requiring muzzles by law must have one on at all times. For more information call 9272 0980. The Scarborough Community Hub is opening its doors on Thursday 4 October to show you what they have to offer! Come along to this free event at 173 Gildercliffe Street between 10.00am – 2.00pm and enjoy the festivities. Pick up a drum and get swept up in the rhythm in a drumming workshop, sit in on a storytime session or enjoy a free gym workout. Let’s light up Australia for blood cancer. We can’t wait to see you at Light the Night. We will come together and transform the darkness into a sea of glowing light to beat blood cancer. Register now and your reserved lantern will be ready for you to pick up on the night at the event. Enjoy a relaxed evening on the spacious lawn listening to cool tunes, enjoying food truck fare and sipping on Olive Farm Wines. With delicious cheese boards available, local handicraft stalls and talented buskers to entertain, bring the family along and settle in for a chilled picnic-style start to your weekend. Wine, Juice & Soft Drinks available for purchase with The Cheese Barrel Staff. Our passionate wildlife carers will take you on an after dark tour to see some of Kanyana’s most active night-time critters. It’s a fun evening for people of all ages and abilities. Returning by popular demand in the school holidays, WAYO brings Prokofiev’s timeless classic to life – a tale which entertains and provides a fascinating introduction to music and the instruments of the orchestra. Families will be spellbound by the story of a young boy’s adventures with his grandfather, a sly cat, a silly duck and of course – a wolf! $14 per person (unallocated seating) No Booking or Processing Fee! The Waroona Agricultural Society was founded in 1925 and coordinates an annual event “the Waroona Show”, which brings the community together. It consists of an executive committee and a general committee who are volunteers who represent a cross section of the community and who work tirelessly all year to ensure the show’s success. On show day the list of volunteers grows to over 50, not including those working for other community organisations. The Waroona Show is the largest single event in the Shire, and is the single biggest fundraising event in the year for local community organisations. The Waroona Show is also the only show in the Peel Region. The show boasts many attractions each year including log chopping, side show alley, trade stalls, horse, cattle and poultry judging, children’s entertainment, hall exhibits, cooking demonstrations, bands, fashion parades and the spectacular Bill Wyllie Memorial fireworks display. A free family event with over 150 market and food stalls. Celebrate ‘The Great Irish Escape’, 150 years since John Boyle O’Reilly’s escape to America, with Irish dancing and music. Plus the Wespine Fire Sculpture, kids craft marquee, taste of Ferguson Valley and more! Stay for the burning of the bull with evening entertainment until 9pm. Get a dose of vitamin sea at the Ocean Reef Marina Open Day on Sunday 7 October. Join us at the Ocean Reef Sea Sports Club to see the exciting plans for Ocean Reef Marina. You’ll have the chance to help shape the public spaces at the marina, as well as face painting, arts and crafts, and more! It’s our October 1st Sunday public run day from Niana Station Castledare Place, so why not get the family out of the house and have a relaxing day on the banks of the Canning River. We have BBQ’s for use in our Picnic area and also a canteen available for light refreshments. Celebrate our railway heritage with fun activities for all ages. As well as the Railway Museum collection, there are model trains, traction engine rides and a bouncy castle for children, machinery and historic bus displays, blacksmith demonstrations, various stalls and lots more. All this for just the usual admission charge.A free shuttle bus will run from Bassendean Railway Station.Railfest runs from 10am to 4pm and there is no set attendance time. Come and visit Buckingham House, one of Wanneroo’s historic gems, for an afternoon of hands-on heritage fun. 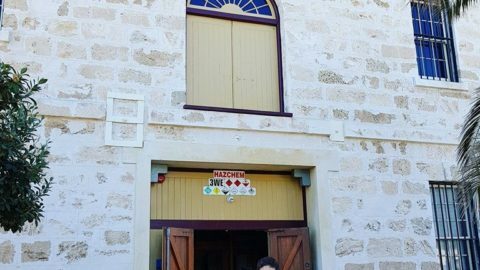 Learn some old fashioned skills, try your hand at some vintage games and cast yourself back in time in the Old Wanneroo Schoolhouse at this free community event. Only open to the public twice a year, Buckingham House is regularly used for education programs where children can experience what life was like before electricity when everything had to be done by hand. Lovingly restored, Buckingham House was once home to John and Amelia Buckingham and their seven children and later to other prominent Wanneroo families such as the Ashby’s and the Tapping’s. 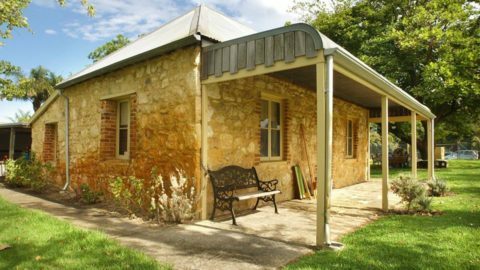 The Old Wanneroo School House, which dates back to 1898, will also be open for viewing. Visitors can hear the tale of how the school survived two naughty school boys’ plot to get rid of the school in 1919. Don’t miss the opportunity to visit this beautiful historic home. Join us for our MEGA Baby & Kids Expo this OCTOBER – you will find everything related to pregnancy, baby and children all under one roof. What’s more – ITS FREE ENTRY … so why not pop along and peruse the stalls, enjoy the LIVE entertainment plus there is FREE parking and an onsite cafe serving hot and cold refreshments. Enjoy a guided walk around the sanctuary meeting a variety of animal residents. You will have opportunities to interact with some of the animals and take plenty of photos. Treat Busta Moo and his bovine friends with some delicious apples, give the pigs belly rubs up in Pig Paradise, share cuddles with Chubby and other members of the woolly herd, mingle with the cheeky and inquisitive goats and say hi to the free ranging roosters. After the tour some light snacks and refreshments will be served. Tour costs: $20 per adult; $10 children under 13 years and under; $50 for a family of 4 (2 adults & 2 children). Come and enjoy the beauty of our orchard in Blossom and enjoy some of our Award winning Ciders. This family focussed event provides a great day out with lots on offer.$5 entry per person or $15 for a Family of 4.Bring a picnic or buy from our food stalls, see our Event posts for vendor details. Food, craft, children’s activities, coffee, wine, spirits and more. Join North Cottesloe Surf Life Saving Club as we celebrate turning 100. We want the whole community to come to the beach from 10am to party with us on Saturday 13 October 2018. Please spread the word and make this day a fantastic celebration for everyone to enjoy! Join us again this year for our 3rd annual family fun day. We are raising funds for the Kids Cancer Project, who are dedicated to finding better treatments and eventually a cure for childhood cancer. – Cupcakes, cupcakes and more cupcakes! An ‘all-in’ entertainment wristband is just $5 for the children, raffle tickets are available and of course the STAR of the show YUMMY designer cupcakes for just $4 each! We are raising funds for the Kids Cancer Project, and most importantly raising awareness of Childhood Cancer. Join accessreel.com and The Backlot Perth’s Back to Screen Movie Series #2 with GREMLINS on Sunday October 14th from 1.30pm (movie kicks off at 2pm) at The Backlot Perth. All Tickets are $10 (plus booking fee) – if you plan on paying on the day, please bring cash as we cannot use Credit Card to process ticket payments at the venue. Black Dog on a Lead is an association designed to get people talking openly about mental illness within their community. We believe that open communication is key for eliminating any stigma or taboo associated with mental illness. Each year we hold a walk to do just that! This year we are excited to be partnering up with the Kai Eardley Fund whose mission is to create positive change for the mental health of today’s youth. The day starts with some inspiring stories from people with lived experience. Those who attended last year said that this was the best part of the day! We then go on a WALK TO TALK around Bibra Lake. You will be pleased to know that at the end of the walk, we have food and drink for all. Ohh, and some awesome entertainment too!! Entertainment provided by our very own ‘Catch Music – Leederville’ and our wonderful Mothersong group. This one is a celebration especially for the Park’s pooches! The paw-pular Doggies Day Out returns to Whiteman Park on Sunday 14 October, celebrating all things canine! This year, we have a new venue in Mussel Pool West where you’ll have loads of space to roam the event to pick up tips and hints, loads of great pet products and even get your fur-friend bathed and groomed! The kids won’t miss out either, with a face painter, Scooby Doo bouncy castle and balloon dogs on hand to keep them entertained. This is truly an event for the whole family – pooch and all! Dogs are permitted and encouraged to attend the event, but must be on a lead at all times and dogs requiring muzzles by law must wear them at all times during the event. Parking is available at Mussel Pool on the cricket pitch or car parks 20, 22, 24 – 26 (plus ACROD parking at car park 27). Alternatively, park in the Village and catch a train or tram to the event! Sponsored by The REEF Two Rocks and created and organised by Empire Events Management. Based on the TV show “The Amazing Race” , Two Rocks will be hosting is own mini version of the game starting at The Reef, Montebello Park, the game requires teams (4 people) to race around the land marks and businesses in Two Rocks collecting clues, artefacts and answers. Bring along your family, kids and friends to this dog friendly (dogs on leads) event. Listen to our brilliant musical talent while sipping on your kombucha or drinking your coffee. Choose from a fantastic range of absolutely delish vegan food which will tantalise your tastebuds. Come check out our amazingly diverse stallholders who will wow and educate you with their products/services. Learn what our Not-For-Profit organisations are all about and how you can help. Come along to a fun-filled morning celebrating our furry friends. This family and dog-friendly event will showcase a variety of animal related stalls including animal rescue groups, kennel facilities, dog wash and doggy daycare. There will also be free basic vet checks on the morning. Learn about responsible pet ownership, meet the Rangers, and find out about pet registration, microchipping and the City’s dedicated dog exercise areas. There will be a coffee van and sausage sizzle as well as a dog agility display. Our annual “DOGTOBER” event is coming up on October 14th! Celebrating our favourite furry friends we invite you to bring your pooch down for the day! Enter our dog show for the chance to win some amazing prizes, have a photo taken with your fur baby or just check out all the dog friendly stalls. Come along to this FREE event for you and your pooch. Dog wash and grooming $25 per dog with $10 going to the WISH Animal Rescue. Fur run/walk around the lake at 11am Every furry participant gets a free bandana! Register or renew your dog registration (EFTPOS available). Food and drinks available to purchase (cash only). Plenty of parking available. Playgroup WA are holding another awesome play day at Perth Zoo! 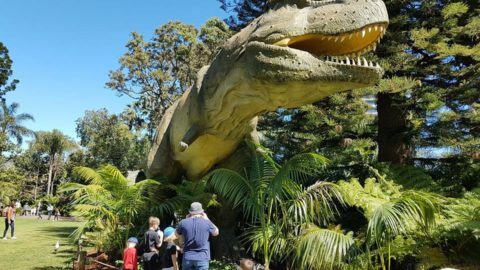 Join us on the main lawn for a fun morning full of free playgroup activities to celebrate Perth Zoo’s 120th birthday – PLUS meet the creatures of Zoorassic Park! Don’t forget to bring a hat and morning tea! Grandparents and other older adults are all welcome to join in on the fun! ELLENBROOK! We are coming for you for some carnival fun!!! 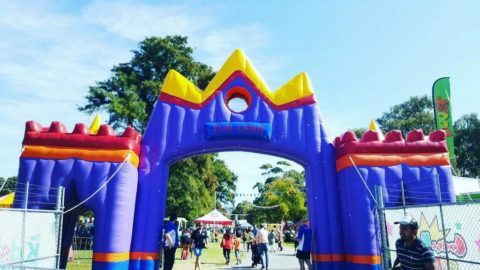 We will be at Woodlake Reserve with HEAPS to do and see.There will be lots of Rides and Games, Novelties, Slushies, Food, FRESH DONUTS , Showbags and lots more! Let’s unite Perth in a massive singalong for World Singing Day, Saturday 20th October, 12 noon in Yagan Square. This is going to be Perth’s biggest group karaoke singalong with the lyrics to classic songs clearly displayed on the 360 screen for everyone to join in. This event is about spreading the joy of singing with friends, family and community. Join us for pizza and pats in the paddock, meanwhile raising much needed funds for Possum Valleys 150+ animal residents. Entry includes a delicious wood fired pizza for one, a soft drink, Sanctuary tours, kids face painting and activities, music, market stalls and more. Additional drinks and pizza will be available for sale. This year’s event will be jam packed full of FREE, fun activities for the whole family. Bring a healthy picnic and enjoy the outdoors with your family. Stay tuned for more details, this year’s event will be bigger and better than ever. This event is a Smoke and Alcohol Free event. As part of the City’s Summer Series and Children’s Week, the City has partnered with the Rockingham Early Years Group to host the annual Teddy Bears’ Picnic. Grab a picnic blanket and basket, and come to Fantasy Park on Wednesday 24 October from 9am – 11.30am. Come along to this free event and enjoy face painting, a cuddly animal farm, bouncy castle and the opportunity to meet with Early Years’ service providers. This year is not to be missed as the Paint Rockingham REaD mascot will hatch at the picnic. The Paint Rockingham REaD reading egg has been travelling around Rockingham with children guessing who is inside. All will be revealed at the Teddy Bears’ Picnic! Family Services invite you to attend our Sports Open Day. Come down and find out more information about local sporting clubs and enrol your children in a sport of their choice! Enrol on the day for your chance to win a prize to support your child’s enrolment! Free sausage sizzle and activities for the whole family. Food/drinks available to purchase (cash only), including $1 kids ice cream from Milky Monster and healthy teddy lunch packs for $2.50 provided by Friends of the Community. Entry and exit via Azelia Road. Janson Road and Davilak Avenue entrance closed. Refill station, accessible parking and toilets available. Come and see ‘big toys’, boats and displays! Enjoy an action-packed day with friends and family! • Kids! Dress up as a mermaid, pirate or fish and join our dress-up parade. Have your face painted. Celebrate the maritime industry at our working port. Learn about maritime education opportunities and exciting careers. 51st Wembley Downs District Fair.This fantastic community event starts at 8.30am and offers a jam-packed programme right through to 3.00pm. With more than 100 stalls, amusements and performers there will be something for everyone and entry is FREE! The Brunswick Agricultural Show is traditionally held on the fourth Saturday in October. The Show Committee was formed in 1931 by local farmers and residents to show their livestock, farm and home produced wares. The Show now attracts exhibitors and judges Australia wide and has the reputation of being one of Australia’s Biggest One Day Shows. It aims to provide entertainment while still maintaining its agricultural focus. The Brunswick Agricultural Society places emphasis on supporting the local community as it proves a perfect fundraising opportunity for local groups to provide themselves and raise money. It prides itself on the huge effort of volunteers who make it one of Harvey Shire’s biggest one day events. A festival of all things gourmet… Come and experience everything this great state has to offer at this fiesta of food!Hot food stations, baked goods, handcrafted spice blends, WA honey and preserves, beer and wine and lots more gastronomical delights.Set in the riverside location of Pelican Point, Mounts Bay, this location has beautiful lawns and the kids can splash in the river with the dolphins if they visit as they often do.Entry is FREE! Nature Play WA, Meerilinga, and the Department of Education are excited to announce the Children’s Week Family Picnic Day for WA Children’s Week on Saturday 27 October 2018! It’s a FREE day of family fun to celebrate Children’s Week – a national event just for kids! The Children’s Week Family Picnic Day will have fun for the whole family, including an interactive Scavenger Hunt through the Kwinana Adventure Playground, mud kitchens, nature crafts, and a special visit from the Bush Fairies! This is a self-guided event where parents and caregivers are responsible for their own child or children in their care at all times. While this is a FREE event, we ask that you please register to attend, to assist us to have the right amount of resources available on the day! Families are encouraged to participate in activities at their own pace, with the event running from 10am to 2pm. Entry to the event is open during this time, with all activities available for the full duration of the event. Thank you to the Mount Helena Progress Association for entrusting us in the THE INAUGURAL HILLS BILLY CART FESTIVAL’s market and entertainment content.Our signature brand Pinup parade and All Wheel Show’n’Shine events will be on show along with our retro and vintage business partners. StepUp! is back in 2018 at a new location! Join hundreds of Down Syndrome WA families, friends and supporters and help raise much needed funds. Set up your fundraising page, grab some merchandise and take a leisurely stroll around the Swan River. Fundraising has never been so relaxing! There will be loads of free entertainment for the kids, delicious food and an even bigger mini-market, with all sorts of goodies up for sale! The registration page is NOW LIVE! Visit www.dsawa.asn.au/stepup to register! Bring the kids down to enjoy Perth’s longest running Oktoberfest! Dig out your dirndl and leederhosen for kids entertainment, traditional food, live music, shooting hall, fun and games. FREE Family Day Sunday 28th! The whole family are invited to this free community event. Enjoy the many stalls that will be there, games and activities plus at the end of the night, we will entertain you with Celtic music and fireworks (weather permitting). Food and drinks will be available to purchase. Parking also available with entry via Azelia Road (one way) with exit on Janson Road. There will also be a water bottle filling station and accessible parking and toilets. The Basant Festival supports the local charity partner Feeding Australia. With all donations upon entry and some varied activities throughout the festival collecting funds for the Homeless people of Perth. Volunteer to get involved with the charity we are in Weld Square every week. Bring your friends & family and help spread the word…Perth people working together to support local businesses fight hunger. Share & spread the love everything helps raise awareness. It’s that time of year again and what better way to make the most of the beautiful spring weather than to enjoy a day outdoors at the Shire of Dardanup’s annual Spring Out Festival. This year will be bigger and better than ever – with a jam-packed list of amusements designed to have you springing into action! There will be plenty of challenges, games and activities that will be fun for adults and children alike! …And it’s all completely FREE. Our fun favourites will be returning including laser tag, high ropes, bungee trampolines, a challenging climbing wall and bubble soccer!